The Honda Odysseys received a mild facelift for 2008 and some more equipment last year. With a new model in the works for next year, there are no significant changes for 2010. 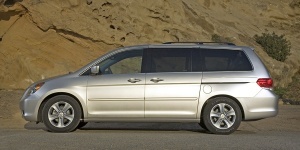 Find the used Honda Odyssey of your choice from a dealer in your area. Search our used car listings now.